I'm so excited to be writing this because it's been a while since I did a review on a palette. 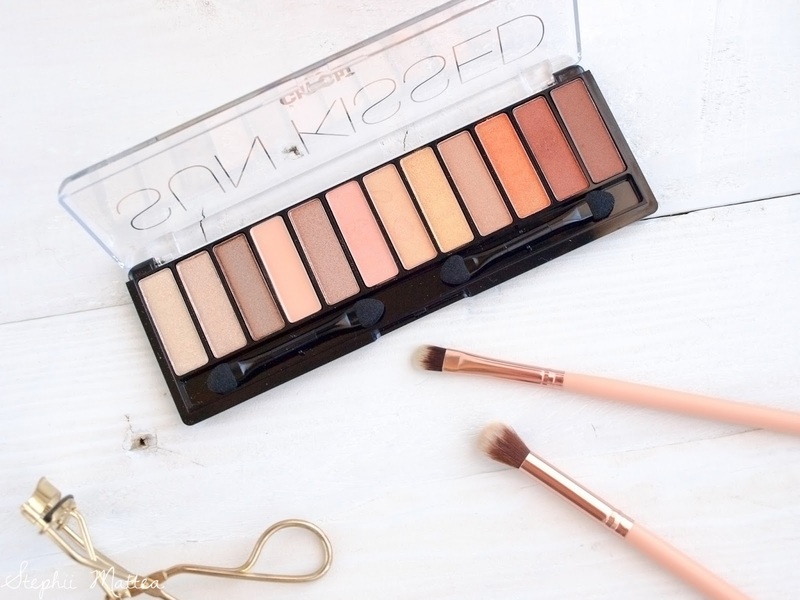 My last review was on the Pink Fizz palette from I Heart Makeup and that was quite a while ago. I made a resolution at the start of this year to do more makeup reviews because I've got so much to go through. I'm aiming for at least one every two weeks, but if I am determined enough, I hope to have one up every week.Today, I decided to go with this Chi Chi Glamorous Sun Kissed Eyeshadow Palette that my brother and sister-in-law gave to me for Christmas. Aside from their perfumes, I never had the chance to try Chi Chi Cosmetics before, so I was pretty excited to receive this. The shades are the kind that I love to use on my eyes, and the kicker is the gorgeous orange that just looks so amazing when swatched. I love using this shade for a fiery look, especially paired with that pale gold shade fifth from the right. I succeeded in getting Sean to be the model for my swatch photos because it's so difficult trying to take a picture one-handed when your camera is slightly heavy and you can't use the other hand to adjust the zoom to take in all the swatches clearly. Of course, he complained about how his arm was hurting since he had to hold it aloft, and how I was boring him. Nonetheless, this was fun to do because it'll probably be the only time I'll ever get to put makeup on him. Please excuse the hair, it's not like I wanted to torture him any further by waxing his arm for this shoot. One of the pans look a bit funky in the photos with the two blobs in them, and that was because I accidentally dripped a bit of my setting spray into it when I wet my brush one time. Oops. 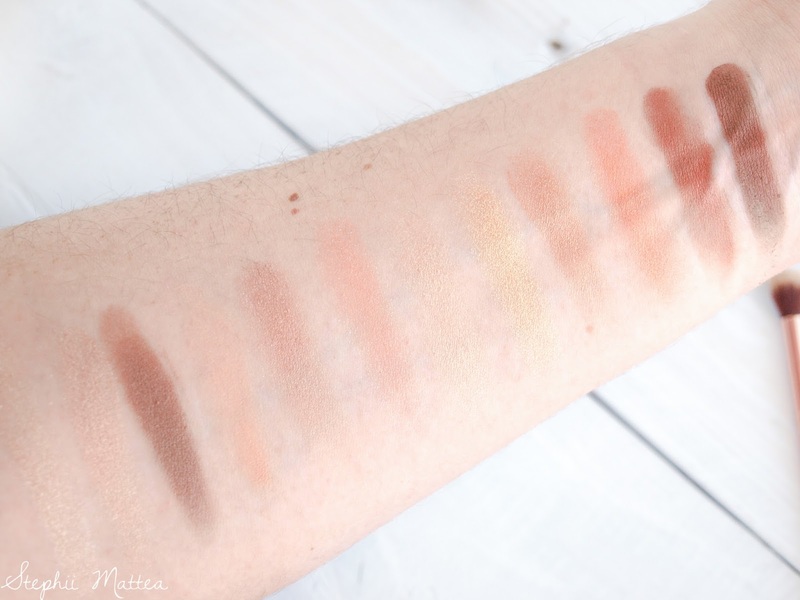 There is only one matte shade out of twelve eyeshadows and that's a base colour, fourth from the left. Everything else has some degree of shimmer ranging from metallic to a soft wash of colour and glitter. I would have loved for the palette to contain a matte transition shade, but I've been able to work with using the fourth shade from the right as a transition colour. The palette comes in plastic packaging and I fear the day the hinges or the clip that keeps the lid in place breaks. If that ever happens, I'll likely depot the pans and put them into a magnetic palette so that I can still use them. I don't think the packaging would last very long if it's taken with me while traveling, but it's still great for everyday. The eyeshadows are really pigmented and go on really smoothly. They're easy to blend and feel so soft and buttery to the touch, even the one matte shade, which feels really smooth and creamy. There's no patchiness and the payoff is consistent. There isn't any fallout of pigment when you're using this palette, but you'll need to be aware of the fact that the more sparkly shades tend to scatter glitter, even inside the compact. None of the eyeshadows come with a name, so I'm going to go through each one of them, starting from the left. The first one is a very pale cream shade with pearl-coloured glitter that looks silver when the light catches it - this is one of the more glittery shades and tends to scatter. The next one is a pale bronze shade with a pearlescent shimmer that almost looks golden. The third is a coppery bronze and has an almost metallic finish. This is ridiculously pigmented and smooth. 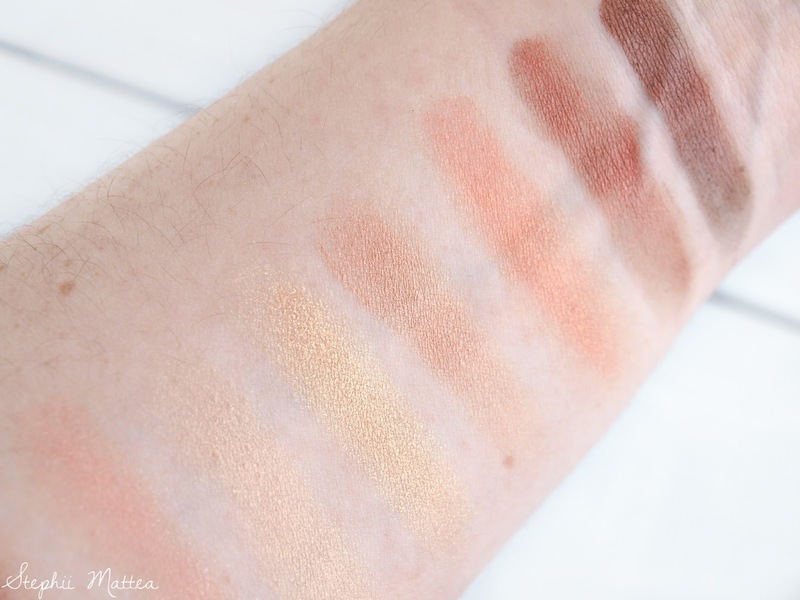 The fourth one is the matte peachy shade which can definitely work as a crease or transition colour for the pale beauties, but for me, it works as a base shade. Number 5 is hard to explain - it's a deep rose-gold shade that's a bit cool toned. In the swatches, the sixth shade looks quite pigmented on my fiancé's pale skin but it's actually a warm pink that's more of a sheer wash of colour, as the focus is on the lilac and silver-white glitter. This is not as glittery as the first one. Next we have this two-toned effect that shines gold when the light catches it but otherwise, blends into my skin. Number 8 is a more intense version of the previous colour, only with a tad more orange in it and it doesn't look like it looks the same as my skin colour. It's quite soft so it's easy to pick up a lot of product on the brush or the finger with it. Numero nove is a pale wash of copper. It's not metallic but it does catch the light nicely. Ten is, of course, my favourite as it's such a fun colour to wear and the gold shift in it makes it such a gorgeous and fierce shade. The glitter in it doesn't quite transfer well to the lid with a brush unless you spray it with a setting spray beforehand. Without the glitter it's a satiny orange. The next one is similar to the bronze shade I mentioned earlier, only more red, with a coppery finish. 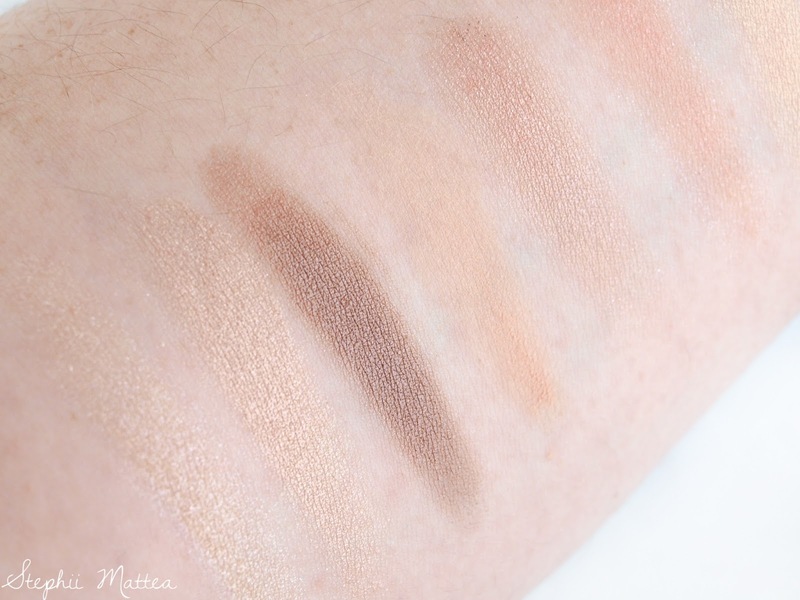 Finally, we have a darker, almost matte cool-toned brown that looks great in the crease or the outer V.
I love how this is actually the best palette that I have on hand for the warmer months, and the name really reflects it. Do I recommend getting this palette? Yes, absolutely. It's $18 a pop, and the quality is great for the price. Chi Chi is an Australian brand, so it won't be as easily accessible in other countries. They do ship internationally, but their shipping fee is a flat rate of $20. Unless your order is over $100, then the shipping is free. After trying their eyeshadows, I'm definitely interested in seeing how their other products fare, especially their Spices palette and their lipsticks. 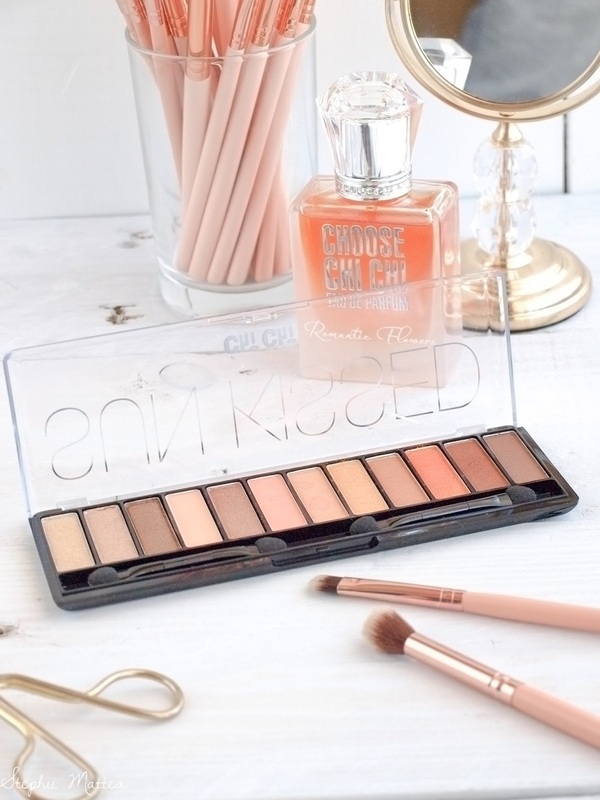 What is your favourite summer eyeshadow palette?